On 7 October 2006 Russian journalist Anna Politkovskaya, a reporter for the Novaya Gazeta, newspaper and a prominent critic of Russian President Vladimir Putin, was shot dead at her apartment building in central Moscow. 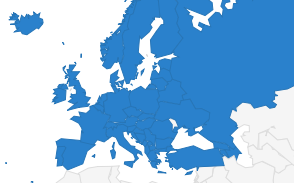 The European and International Federations of Journalists (EFJ-IFJ) join their affiliate the Russian Union of Journalists (RUJ) in commemorating the death of the veteran journalist and calling on the Russian government to renew its efforts to identify those who ordered the journalists’ murder. The journalist and human rights activist’s body was found by a neighbour in the elevator, where she had been shot 4 times. The murder of Anna Politkovskaya, aged 48 and mother of 2, shocked the international community. Death threats were a constant feature of her life due to her critical reports of the Second Chechen War, uncovering the abuses committed by Russian military forces and Chechen rebels, as well as her critical investigative coverage of corruption and politics. During her career she was threatened several times, jailed by the Russian authorities and even survived a poisoning attempt during a flight to the North Ossetian town of Beslan to cover the horrific school siege in September 2004. Politkovskaya had plenty of enemies who might have wished her death, but ten years after the murder, the Russian authorities still haven’t been able to answer who ordered the crime. After almost 8 years and 2 trials, on June 2014 three Chechen brothers, their uncle and a former police officer were sentenced to prison by a Moscow court. However the basic question of who ordered her murder remains unsolved. 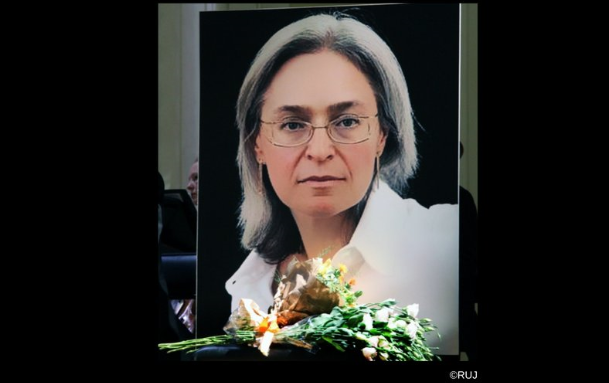 “Remembering Anna, we remember at the same time all deceased Russian journalists killed, disappeared or died in unclear situations” said the International Secretary of the Russian Union of Journalists (RUJ) Nadezda Azhgikhina and Vice President of the EFJ. “We have more than 350 names in our memorial list since 1990”. The RUJ will commemorate the 10th anniversary of Politkovskaya’s murder with a memorial event in her honour at the Moscow Journalist Club, where young artists will interpret texts of the Politkovskaya as well as those of Yury Shchekochikhin, another Russian investigative journalist who died suddenly from a mysterious illness in 2003. “The purpose of the activities is to immortalise the free word and journalistic courage,” said Nadezda Azhgikhina. The play will be followed by an open debate. 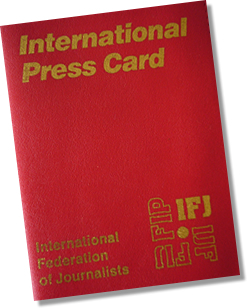 IFJ President Philippe Leruth said: “On 7 October, we will commemorate with sadness the loss of a great journalist. Russia is one of the most dangerous countries for journalists and the tragic case of Anna Politkovskaya is one more illustration of the impunity that protects those who attack and kill journalists or those who mastermind those killings. This unacceptable situation must end. Journalists must be allowed to work freely without fear in Russia. The public’s right to know depends on a free press”. 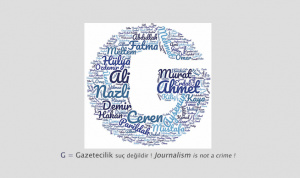 All the partner organisations of the Council of Europe’s Platform to promote the protection of journalism and safety of journalists decided to jointly submit a new alert under the ‘impunity’ category in relation to the murder of the Russian journalist. The organisations call on the government of the Russian Federation to ensure that those who ordered it are brought to justice through an open and transparent judicial process. Solving the Politkovskaya case is crucial to restoring faith in the Russian judicial system and the rule of law.